Hello friends! 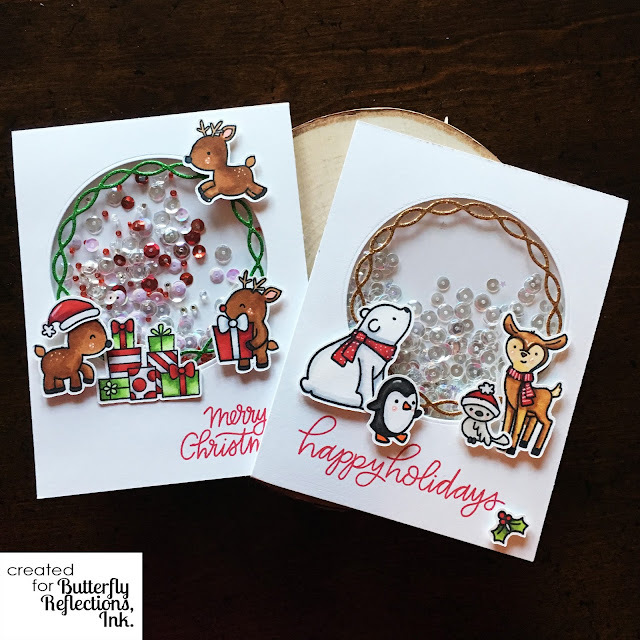 Jacquie here with some more holiday cards! Today I have a pair of shaker cards both made with some adorable critters that I've colored. This shaker is a combination of different sets. The bear, deer and bird are from Avery Elle Winter Woodland Wonders. The penguin is from Lawn Fawn's Here We Go A-Waddling, and the greeting is from Pretty Pink Posh Holiday Greetings. All of these colored critters were stamped with Altenew Crisp Permanent black ink and colored with Copic markers. 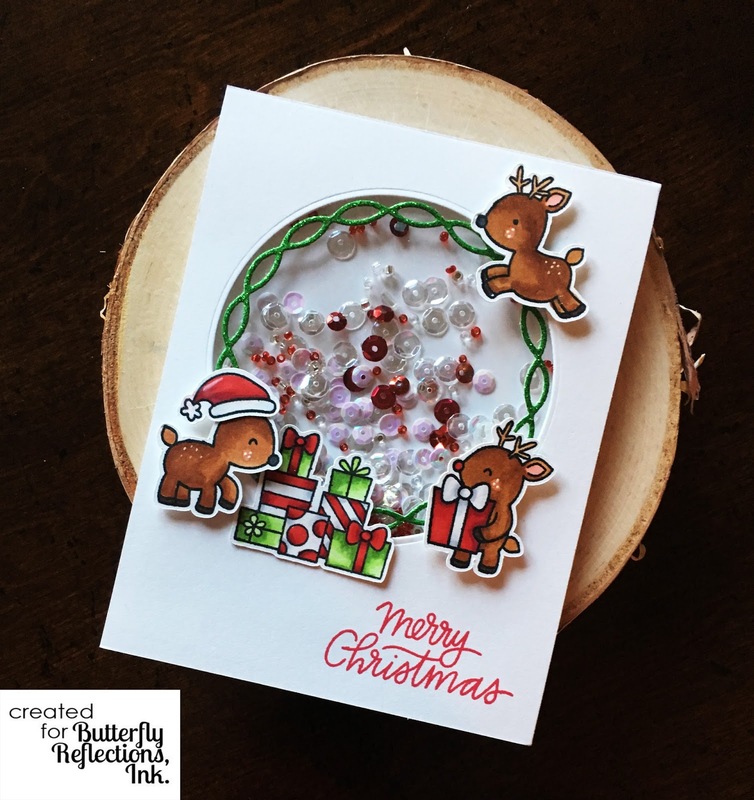 This card features reindeer and presents from Pretty Pink Posh Reindeer Friends....again, stamped with Altenew Crisp permanent black ink and colored with Copics. To assemble the shakers, I cut a circle on a card panel, adhered Judikins embossable Window plastic for the window and made the shakers with Scotch foam tape. I filled both shakers with an assortment of sequins and micro beads from Pretty Pink Posh. I die cut a Chainlink circle from My Favorite Things Die-namics linked chain circle frames out of glitter paper and adhered it to the front of the window. I added the die cut critters to both cards and finished it off by adding some sparkle from a Spectrum Noir sparkle pen. Thats it for today! I hope you like these! Shakers are really not too hard to make once you get the steps down, and practice makes perfect! These fun cards are especially fun for the recipient! So cute!!! and I love the chain link glitter paper detail. That’s a lovely pair of shaker cards ! So very cute!!! 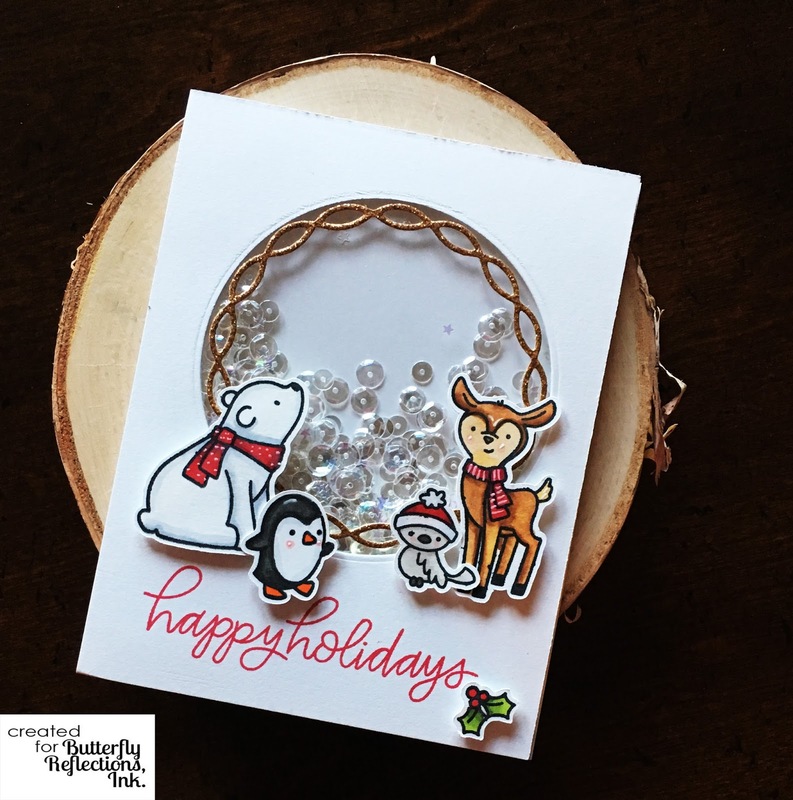 Love the chain link die!